I am finding this weather intolerable. In fact I am quite put off by it as are many other people I know. I keep thinking of the garden and making plans, but this cruel weather persists. I am chilled to the bone, but I definitely have a Spring fever! I have been working out plans for the new garden in my head for weeks now and am trying to figure it all out and how it will come to be. Currently I am trying to get a landscaper to come over and provide an estimate on having the yard graded. However it is proving to be somewhat difficult to have someone actually show up to do this. Anyhow, I suppose they will eventually show up. If the cost is reasonable it will be done, but we will need to wait on the weather. We have been receiving quite a bit of wet weather and the ground is saturated and can’t absorb the water fast enough. There is a water ‘issue’ on one side of the house that truly needs to be dealt with. We call the area the ‘Bog of Despair.’ I believe the area was intentionally graded at one time to collect run off water between my house and a neighbor’s house, but the ground has gone all catawampus and is causing water to collect closer the foundation than it should. It is my hope that this particular area will become a rain garden of sorts where water-loving plants could be used to help absorb excess water and prevent it from flooding so we no longer require a gondola to cross it. This is the model I have on my desk at work. I just planted the mini red petunia’s. To ease this spring fever I have decided to dig out the old AeroGardens. 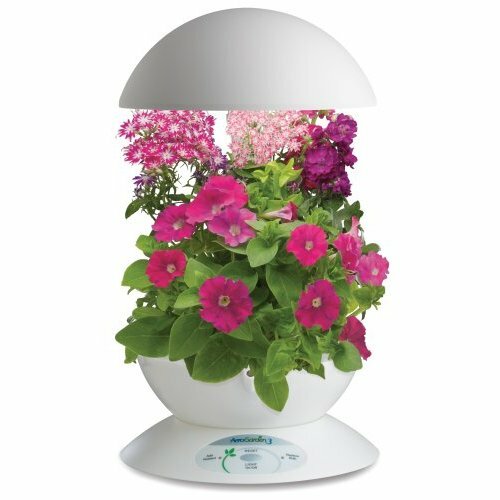 If you aren’t familiar with AeroGarden, it is a self-contained hydroponic garden system. I have the AeroGarden 3 on my desk at work, which is planted with Petunia seeds. They should germinate in about 6 days. Melissa has one that we have placed in the cottage to begin germinating seeds for the garden. I decided to splurge and purchased a new AeroGarden on Saturday. The new models use LED lighting and use 60% less energy. The bulbs last longer and provide quicker growth. I did discover there is a company that makes LED replacement bulbs for the older models, but they are kind of expensive at $30.00 each. However, the fluorescent grow bulbs are supposed to be changed after every grow season so this adds up too. 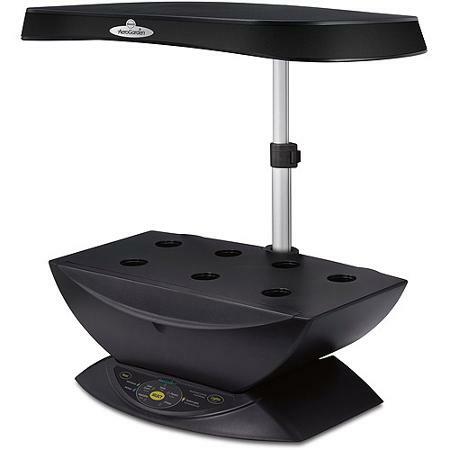 I ordered this AeroGarden 7 LED to help with seed germination for the garden. 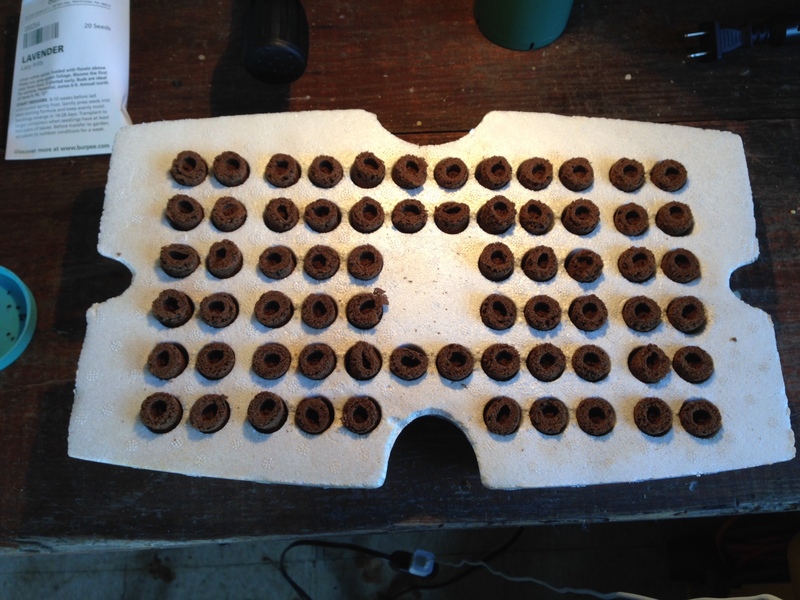 This is the seed germination tray. This particular model holds 66 grow sponges. 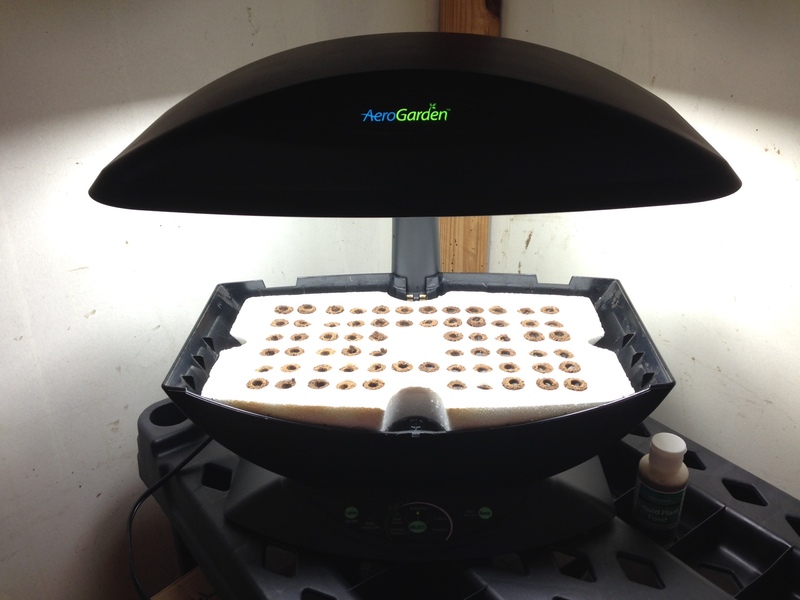 You can purchase seed pods from AeroGarden or create your own and have fresh herbs or flowers all year round, but you may also purchase a germination tray which expands the amount of plants you can start. Once they grow to a certain point I will transfer the seedlings to a small container of dirt and then start the next group of seeds. Currently I have 33 lavender seeds and 33 sunflower seeds germinating in the older model in the cottage. Once the new model arrives it will provide another 66 seed germinating possibilities! 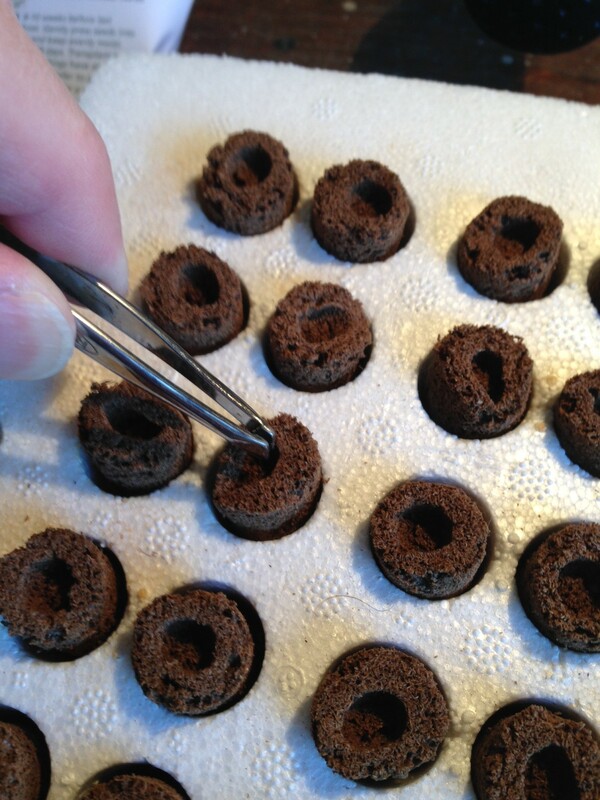 Planting lavender seeds… very tiny! The older model AeroGarden is up and running! In other news I am still working on my bedroom. I have purchased a sisal rug to put down on the floor for the time being and will address the floor in the future… perhaps in twenty years. The closet needs to be completed next weekend and then I can begin to move back into the room. After this I may begin on what will be my mother’s room. You know, I am tired of painting and making uneven doors work and moving furniture around. I just want to work in the garden!